Toyota Motor Corp. stood out as the only major automaker to increase U.S. sales last month and Nissan Motor Co. and Honda Motor Co. both beat projections as demand at traditional U.S. automakers slumped. 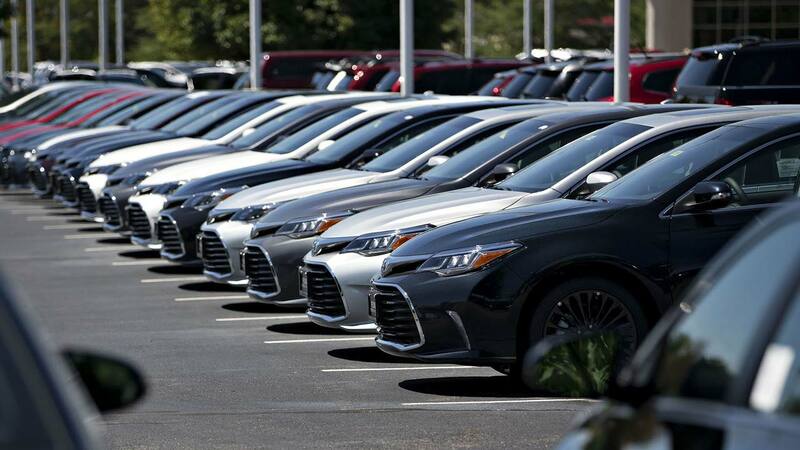 Sales at Toyota rose 3.6 percent in July, defying estimates of a decline of about the same magnitude. While sales at Nissan dropped 3.2 percent and slipped 1.2 percent at Honda, analysts surveyed by Bloomberg News had expected larger declines. 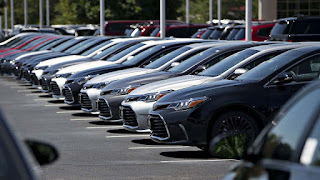 The Japanese manufacturers came out best in the worst month for the U.S. auto industry since August 2010, a year after the federal government’s “Cash for Clunkers” program to stimulate demand. Traditional Detroit automakers such as General Motors Co. are also competing with luxury brands that are offering more SUV models — and selling them at larger volumes — than ever before. Honda, which lifted its outlook for full-year operating profit, saw its shares climb 3.9 percent in early trading in Tokyo on Wednesday, the biggest jump since the beginning of January. Toyota’s stock gained 0.6 percent and Nissan added 0.5 percent. Toyota’s RAV4 crossover model notched up more than 40,000 sales. That’s a monthly volume that only full-size pickups typically achieve. Hyundai-Kia sales tumbled 18 percent, the largest decline among the major automakers and a worse performance than analysts projected. Meanwhile, sales at GM plunged 15 percent in its home market in July, the biggest drop in more than a year. Its Detroit rivals didn’t fare much better: Ford Motor Co. reported its biggest sales decline since October and Fiat Chrysler Automobiles NV had its second worst tumble this year. The hometown automakers are instead laying off U.S. workers, particularly those who build passenger cars that have fallen out of favor with American consumers. A demand slump has rendered spending on vehicles and parts a drag on U.S. economic growth, after years of contributing to expansion. The traditional U.S. automakers each missed projections for declines that analysts gave in a Bloomberg News survey. Industrywide deliveries fell 7 percent, the steepest drop since the anniversary of “Cash for Clunkers,” a program that inflated U.S. sales in August 2009 as buyers traded in for more fuel-efficient wheels. The annualized pace of light-vehicle sales, adjusted for seasonal trends, slowed to 16.7 million in July, according to Autodata Corp., from 17.8 million a year earlier. The average analyst estimate was for a 17 million rate. With GM’s vehicle inventory at 104 days’ supply, well above a year-end target of about 70 days, executives have said they plan to build 150,000 fewer vehicles in North America in the second half of the year compared with the first six months. While part of GM’s planned factory downtime relates to plants being retooled for updated models, including all-important full-size pickups, the company also has cut shifts at four passenger-car assembly plants, and a fifth is scheduled to be dropped in September. Ford plans to reduce North American production in the third quarter by 34,000 vehicles compared with a year earlier. The company last week cited the need to match output with demand and a Kentucky truck plant gearing up to make new Expedition and Lincoln Navigator sport utility vehicles. Shares of most major automakers have trailed benchmark U.S. stock indexes this year. The exceptions have been Fiat Chrysler, which is poised to benefit from the shift in consumer tastes away from cars toward pickups and sport utility vehicles, and Tesla Inc., which has soared in anticipation of the more affordable Model 3 sedan. GM shares dropped 3.4 percent Tuesday, the biggest drop since February, while Ford fell 2.4 percent, the most in almost three months. Automakers are poised to struggle measuring up to strong second-half results from a year ago as both regular consumers and rental companies have been cutting back on car purchases. Deliveries plunged about 40 percent for both the Chevrolet Impala and Ford Fusion last month.